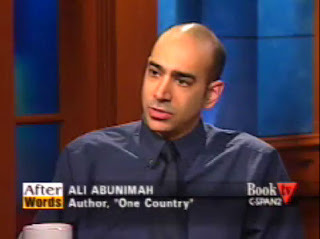 Today we profile Ali Abunimah, the founder and executive director of “Electronic Intifada,” an anti-Israel Web site. Abunimah is scheduled to be the keynote speaker at this weekend’s conference. You couldn't dare accuse him of Anti Semitism I see. It would be interesting to know why you couldn't make that claim. @First comment... You are such a retard , is this all you came up with... Dude the whole blog exposes your hate agenda and you expose your low IQ. Ali is a well educated and respected academic who operates with the highest degree of integrity. He has dedicated his life to exposing the harsh realities facing the Palestinian nation which is widely ignored or distorted in the US and UK. He does not subscribe to anti-semitism, only the truth. Many people in the pro Israel community would have you believe otherwise due to their unrelenting campaign to silence legitimate criticism of Israel but thanks to the internet the world is waking up. Dear ADL, I'm interested in finding the part of your organization that addresses anti-Palestinian rhetoric. Wait, what's that? It doesn't exist? Enough said. I tried to believe you anti-Israel groups are not evil, but I was wrong. Find me one Arab organization that defends Jews. Yes, because evil isn't torching Palestinian olive groves or bulldozing Palestinian villages, evil is speaking out when white phosphorous is rained down on children and when whole neighborhoods are decimated in sustained air raids. The ADL has viciously attacked Desmond Tutu and /that/ tells you who the real racists are. The ADL is just another AIPAC shill. Olive trees again...man grow up. Stop victimizing your self, we got tired of your lies. Give me facts. "Remember the Holocaust! But take a dump on everyone else's suffering!" The ADL is just another batch of whores making money off of Jewish suffering and meanwhile, holocaust-denying the suffering of others. You people should be ashamed of yourselves. Too bad honorable Jews like Hedy Epstein, Norman Finkelstein and Ilan Pappe get harassed and suppressed by awful Zionist gangsters like you and your lot.